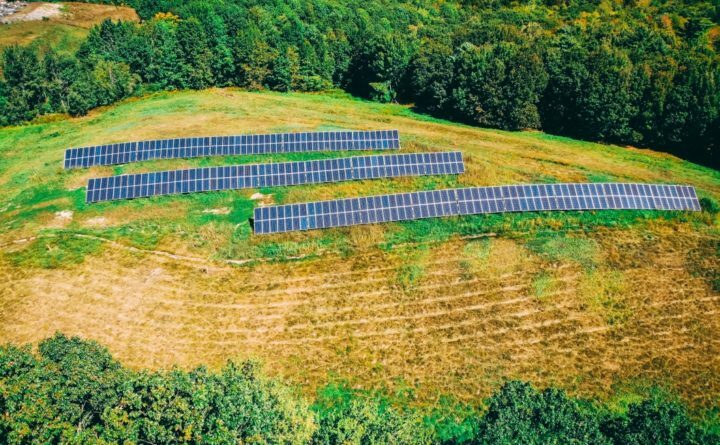 SEARSPORT — Sundog Solar is actively promoting solar farms on capped landfills in Maine. There are over 400 closed landfills in the state. The renewable energy production potential of these sites is exceptional. These solar systems are often installed through Power Purchase Agreements, where a third-party owns the solar system and the local towns or municipalities purchase solar electricity for a discounted rate. Sundog Solar installed a 110-kW solar system for the town of Waldoboro Maine at the end of 2017 a capped landfill. The solar system is expected to save $380,000 over the life of the array, saving taxpayer dollars. There were once more than 8,000 active landfills across the United States. Today, there are just over 3,000, according to the National Waste and Recycling Association. Closed landfills must adhere to federal laws and require ongoing maintenance, draining resources. Solar is a rare option for the closed landfills in Maine. The Department of Environmental Protect has strict guidelines limiting the use of landfills but solar farms are allowed. Sundog Solar recently installed a 153-kW solar system for the town of Tremont on a capped landfill on Mount Desert Island in Maine. The town used to pay between $ 0.17 and $ 0.18 per kWh of electricity. They now pay $ 0.125 per kWh for solar electricity, resulting in instant savings. Sundog Solar was founded in 2009 to make solar energy affordable and available throughout Maine. The company has since installed hundreds of solar systems for homes, farms, retailers, non-profits, auto dealers, schools and municipalities. The Sundog Solar team includes licensed electricians and NABCEP-certified solar installers.